How I Spend Christmas Day | Blogmas Day 24! Here is how I usually spend my Christmas Day including some throwback photos to last year’s festivities! My Christmas Day begins with me opening my stocking in my pjs (I know I’m 23… but Santa still visits me!). Once my mum, dad, grandma and I are all ready, we sit in the living room with a glass of bucks fizz (if my we remember to buy orange juice that is… one year we forgot so my mum suggested we drink our bucks fizz neat… what a legend!). We also eat a slice of panettone as our Italian tradition and my dad usually has a pork pie! I am in charge of handing out the presents from under the tree and the unwrapping begins! 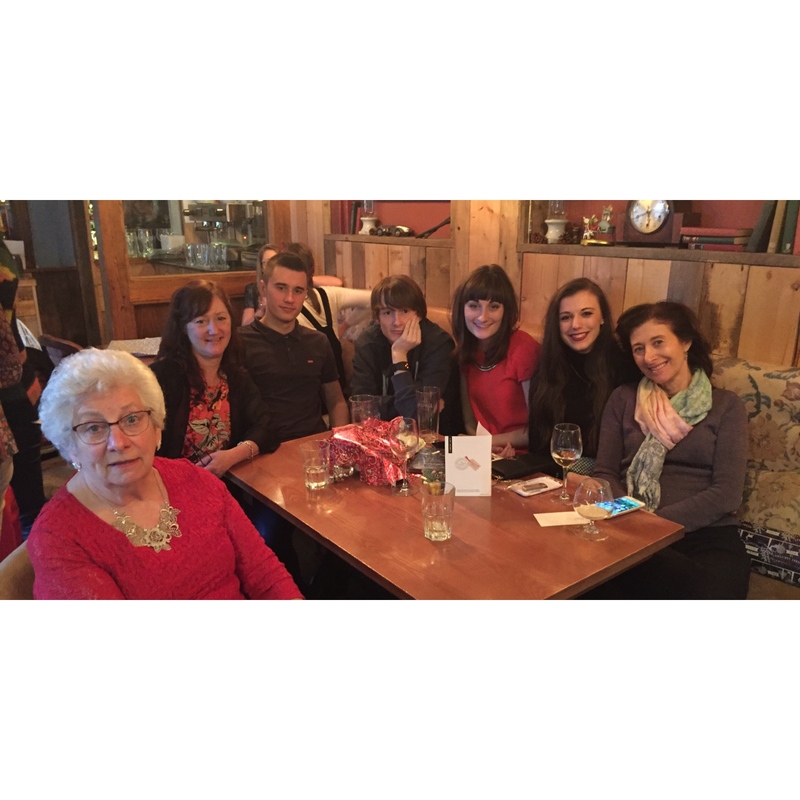 After all our presents are open, we head out to the cutest festive pub to meet my best friend Emma and all her family… they are our extended family really! It’s so busy and full of families dressed in their christmas best! 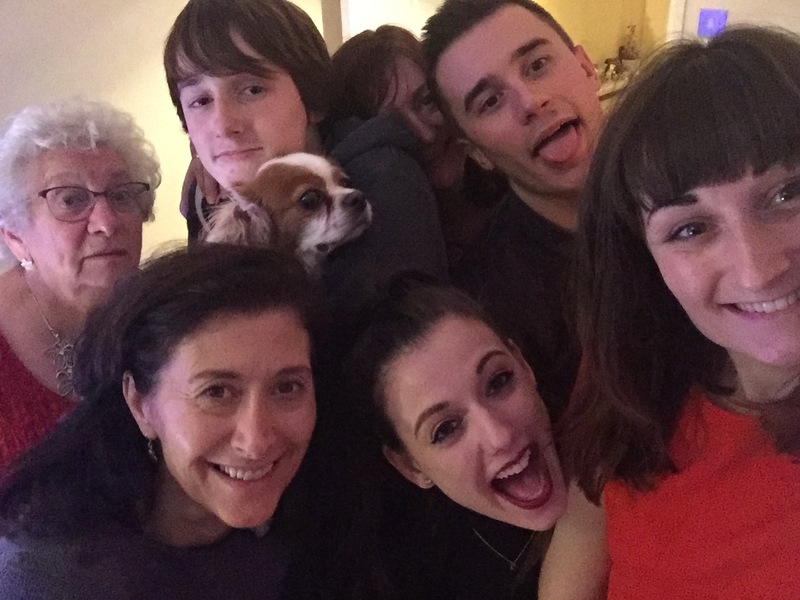 We often see lots of family friends; people we haven’t seen in years which is really lovely! When we get home, I usually relax on the sofa with a tin of roses and watch a film with my Grandma while my mum and dad prepare christmas dinner. We usually eat late afternoon/early evening, but it is always worth the wait! 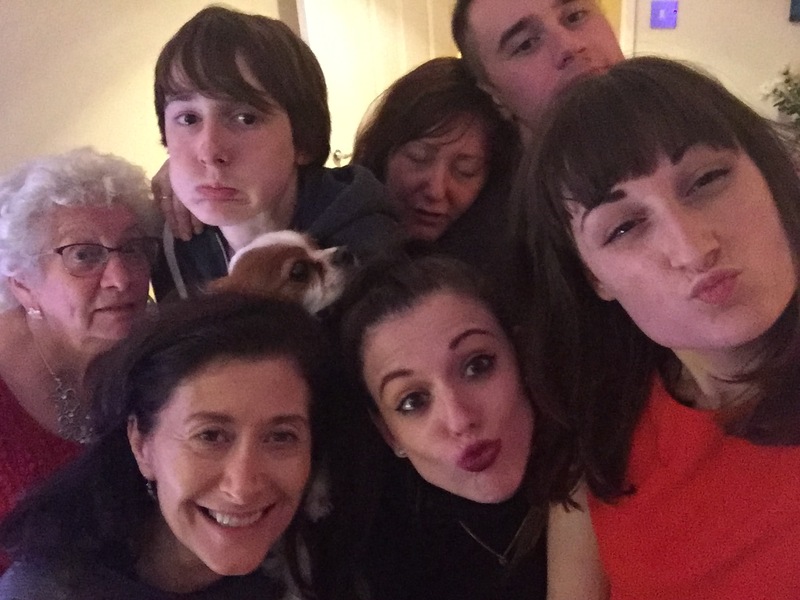 After being stuffed to the brim with turkey and roast potatoes, we head to Emma’s mum’s house. This is where the evening of games, (I am the queen of articulate!) more drinking and dancing around the kitchen to christmas songs begins! Not to mention an obligatory cheese board! The evening ends snuggled up on the sofa watching a movie. Perfection. I would love to hear how you guys spend your christmas?! Let me know in the comments! Thank you SO much for reading my blogmas posts! It has been a challenge to think up ideas and creating good content every day, particularly around working in retail in December and having time to see everyone and get festive! 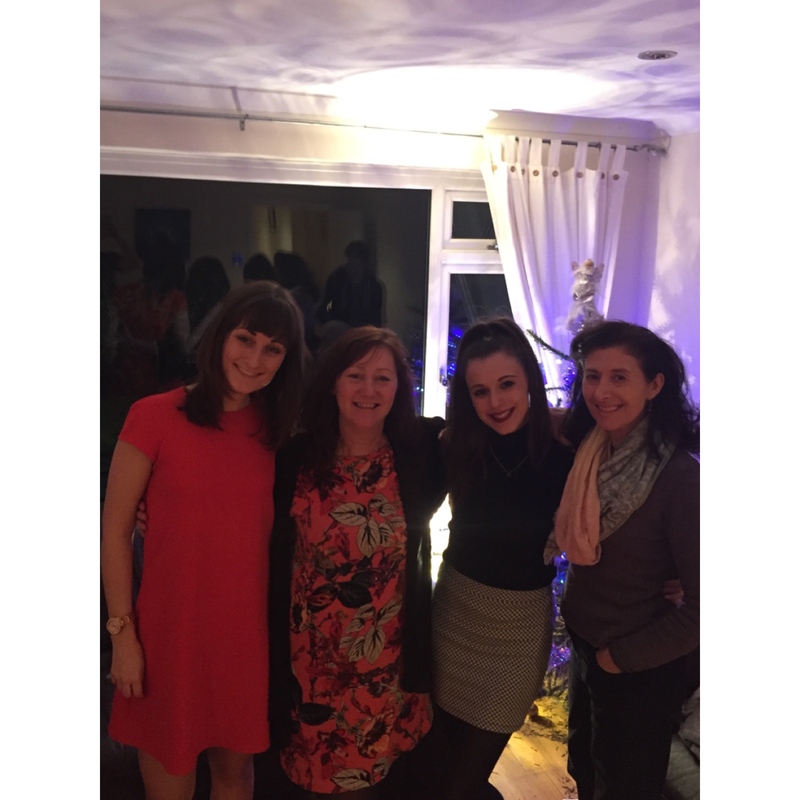 But I have LOVED writing these festive posts and I look forward to continuing to develop my blog in the new year! Merry christmas everyone, I hope you all have a wonderful day!